I have "Music for a Darkened Theater - Vol. 1" on cassette!!! I'll have to burn it or get it into MP3 format soon, because I'm about to wear it out - again! The Pee Wee scores are fantastic. How can you be in a bad mood after listening to "The Breakfast Machine?" Impossible! And the score to "Midnight Run" is part of why that is one of my favorite movies. I could go on and on and on! Expect more ramblings in the future. Lovely stuff - Ed Scissorhands all the way. i will move through more Elfman later on and i will definitly cover Edward Scissorhands. Danny Elfman has gone on record, several times, stating that Edward Scissorhands is his favorite score that he has done. I like how it starts transitioning into his darker stuff. 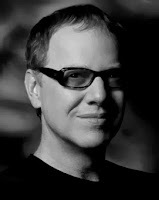 did you know that the studios did not trust Danny Elfman, who was a comedic music writer, to do the score to Batman? Tim Burton had to fight Warner Brothers contantly to allow Elfman to do the score. Can you imagine what if would have been like if he did not score Batman? I would bet you anything that his name would have been lost in obscurity. tim burtons batman is still my all time favorite batman movie.